Another great roofing job by XL Home Improvements! 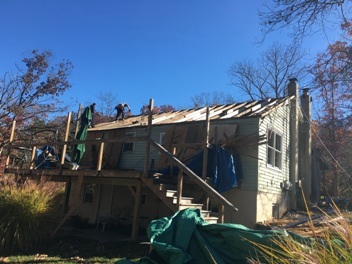 Roofing Replacement in Perkiomenville PA. Roof had 3 layers and very bad plywood on one side. 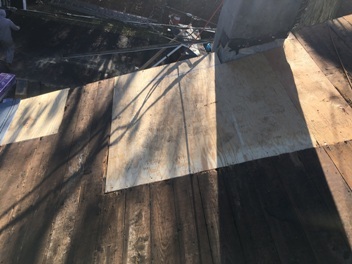 The plywood had delaminated due to the lack of ventilation. 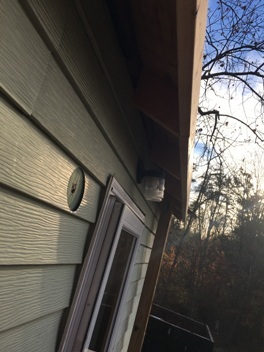 In addition to the ridge vent system, edgevent was installed at the eaves therefore creating air flow. 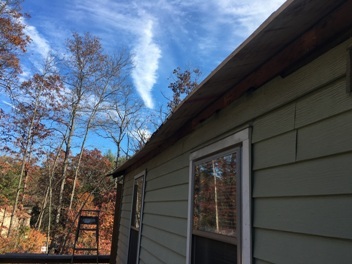 New 5/8″ Decking installed on he rear of the roof, exterior walls had to be tied back into the main structure along with bad wood replaced as necessary on the rest of the roof. 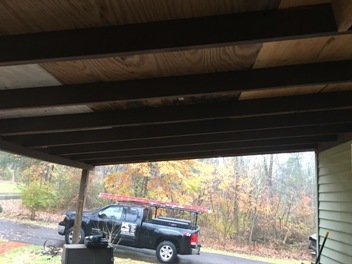 Flintlastic self adhered roofing system installed to front porch. 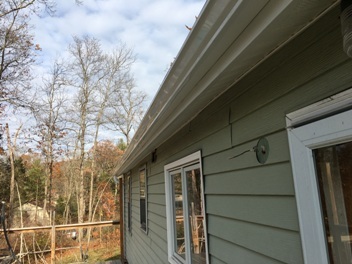 Eaves completely rebuilt in Two areas, capping, vinyl soffit and seamless gutters installed. 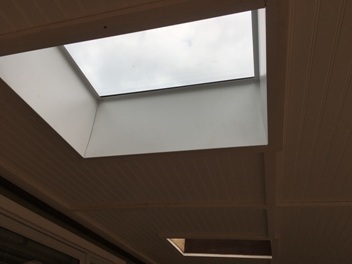 New Velux skylights and porch ceiling installed to finish the job off! 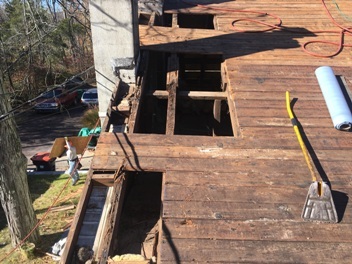 De laminated plywood removed from under three layers of roofing. 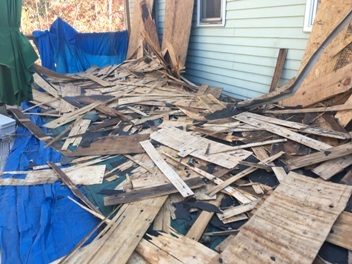 This plywood was obviously really shot, between no ventilation and three layers of roofing it didn’t have a chance. 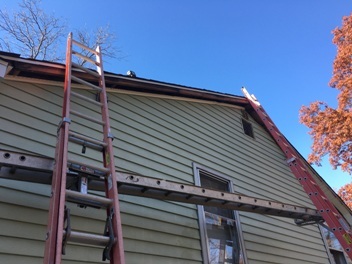 Installed new 5/8″ sheathing along with soffit vents and ridge vents. Two Velux curb mounted skylights installed. Flintlastic self adhered roof system installed to porch roof. 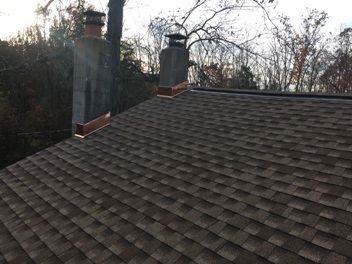 Certainteed Landmark “Heather Blend” shingles installed. Copper counter flashings cut into the chimneys. 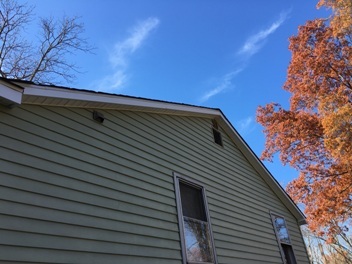 Lots of ventilation created from eave to ridge. This will help out immensely. Eaves rebuilt new facia boards, capping, vinyl soffit and seamless gutters to finish it off. 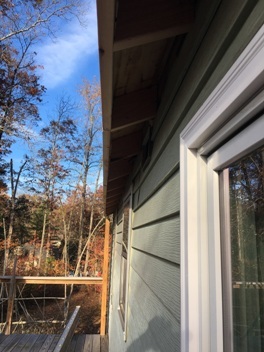 All new soffit and rake capping all around the house. The house really came back to life when complete. Vinyl soffit and capping to all gables on the house. New Velux skylights installed and new bead board ceiling installed to finish it off underneath. Trimmed out with pine 1X3 and painted with primer sealer. Came out nice! 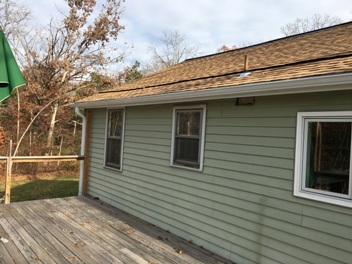 Homeowner was super happy with the job and he is ready to install a new kitchen after the roof has been replaced. 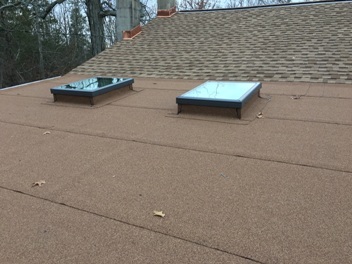 This entry was posted in ALUMINUM CAPPING, GUTTERS, ROOF REPAIR, ROOF REPLACEMENT, SKYLIGHTS, STUFF TO CHECK OUT! 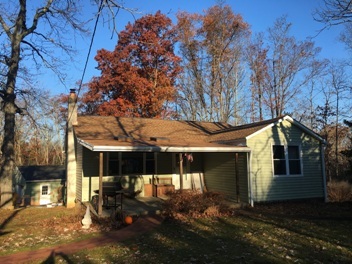 and tagged Capping, Gutters, Roof Replacement, Roofing, Skylights on November 25, 2016 by Rut327.